Counseling Services Executive Director Dr. Sylvia Lopez describes school counselors as “the hubs,” of their campuses, the staff who keep up with student’s social, emotional and academic well-being while prescribing services and programs to propel each student to graduation. The work of the district’s counselors has again been recognized with the CREST Awards, (Counselors Reinforcing Excellence for Students in Texas). The awards are based on a peer evaluation system that recognizes outstanding school counseling programs. The goal is to reinforce the school counselor’s role in the academic, personal, social, and career development of students. To be considered for the award, counselors were required to document their contributions to student success through such tasks as individual student planning, guidance curriculum, responsive services, and systems support. Rounding out the application process, principals were asked to assess their effectiveness in such areas as campus improvement, student success, team collaboration, student outcomes, and school climate. 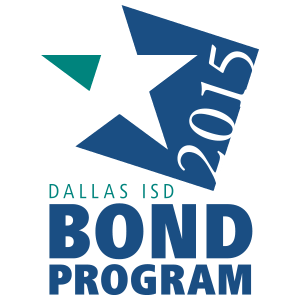 In 2009, only two Dallas ISD campuses applied for the CREST Award; one school won the honor. This year, 32 schools applied; of those, 22 received CREST honors, with 78 counselors named to receive the prestigious award. They will be recognized at the CREST Award Luncheon Feb. 9 during the Texas School Counselors Conference in Galveston, Texas. Whether it’s working to help students recoup lost instructional time, designing programs to reduce instances of bullying, organizing college- and career fairs or evaluating ways to reduce disciplinary issues in schools, Dallas ISD counselors work tirelessly to serve each of the district’s 160,000 students.